On June 18, 2013, Joyce will flying as copilot on Team XXtreme AviatriXX, in the 2013 Women’s Air Race Classic. What started out as the First Women's Air Derby in 1929, is now a 4-day air race, where pilots of the female gender race across the country getting the best our of their planes and themselves. This week it's all about Joyce Fowler Wilson~ Aviatrix Extraordinaire. We all know that pilots have a special air about them. But what makes this flying game so much fun, besides the flying, is the people. And with general aviation pilots, especially the women, the variety of stories as to why they began flying is never ending. 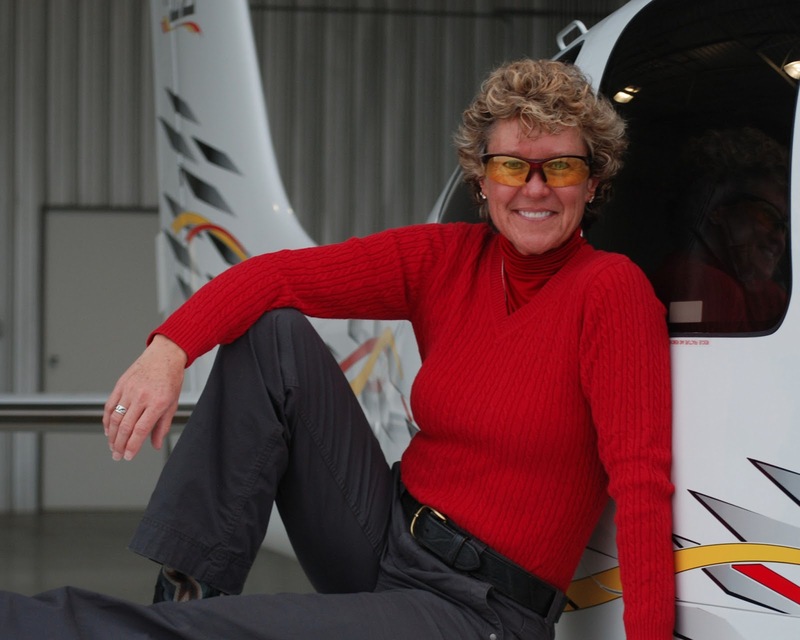 Last week we read about an Air Race Classic racer who began flying as the final wish of her husband diagnosed with Alzheimers. This week we have another woman sharing her husband's dreams... which ended up making hers come true as well. Born and raised in Morgantown, WV. College was a natural extension of High School for me. While working at Weirton Steel as an Industrial Audiologist, I became interested in firearms and hunting. My interest led me to competition handgun shooting which is how I met my husband. We were living in Arkansas and my husband had always dreamed of a Texas ranch. When we found the perfect ranch in northeast Texas we drove back and forth several times a month. We have several friends who are pilots and I had wanted to learn to fly from a young age but never had the opportunity. One day, jokingly, I told my husband it would be much quicker if we flew and that I would be more than happy to get my license. He said ‘go for it’. That’s all I needed. 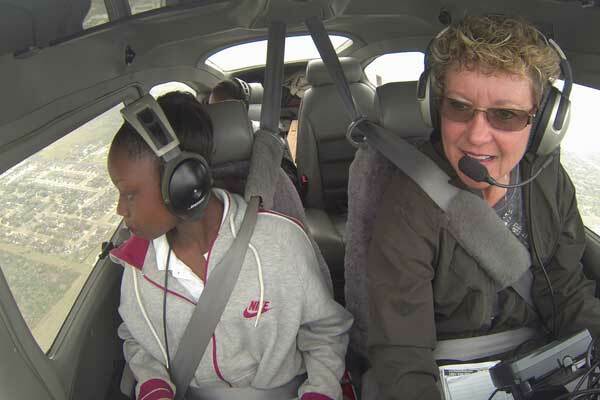 I found an instructor and just 5 months later, in January 2007, I had my private pilot’s license. The following year I added my instrument rating. Not being in the aviation industry, I don’t fly professionally nor do I get to fly as often as I’d like, but I’ve been fortunate to fly many places from California to Pennsylvania. I’ve also participated in the 2010-2012 Air Races. From my first introductory lesson at the age of 12, I never lost the wonder of flight nor the passion to learn. I’ve been blessed to have several wonderful partners in the previous Air Races. I’m really excited to fly with Dianna this year. She is such an accomplished pilot and person, it will be a dynamic race. When I asked Joyce what the most important lesson she's learned in flying she said, "